Arnon Milchan, the Hollywood producer behind such hits as “Pretty Woman” and “The Revenant,” was interviewed in London last week by Israeli detectives over allegations that he bribed the Israeli Prime Minister Benjamin Netanyahu, The Guardian reported Wednesday. Milchan had previously been interviewed in the investigation known as Case 1000 after admitting that he gave Netanyahu and his wife gifts, including boxes of cigars, bottles of pink champagne and jewelry. But according to the Jerusalem Post, last week was the first time Milchan was questioned as a suspect in a case that is becoming a growing political scandal in Israel. 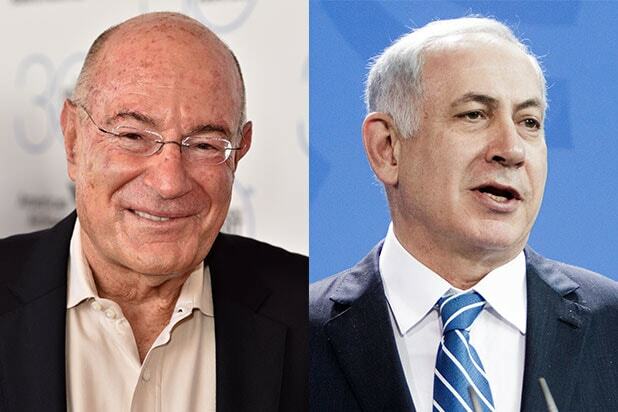 Milchan, an Israeli-American, has denied that his gifts were part of any improper quid pro quo to curry favor with the longtime prime minister. Milchan and a spokesperson for Netanyahu have not yet responded to TheWrap’s request for comment. Back in January, the Times of Israel reported that Netanyahu said Milchan and his wife gave him and his wife gifts, which they countered with gifts as well, as is customary among friends. However, the publication also reported that Milchan testified that Netanyahu and his wife demanded the champagne and cigars and that these gifts were not just an act of generosity and friendship. According to The Guardian, Milchan’s interview comes during a time when Sara Netanyahu had been interviewed by police over a separate case relating to misuse of state funds for household expenses. She is also accused of using public funds to pay for a caretaker for her elderly father, the Times of Israel reported. Moreover, details of Milchan’s questioning surface just two days after Netanyahu was declared to be not a suspect in the so-called submarine affair, another corruption scandal unfolding in Israel. David Sharan, who was Netanyahu’s chief of staff from late 2014 to 2016, was arrested on Sunday along with a former Israeli Navy chief and a former commander of the elite naval commandos. On Monday, a former legislator and minister and an adviser to the minister of energy were also arrested. The Guardian reported that Netanyahu is also involved in fresh allegations in the so-called Case 2000, which involves accusations that he made an effort to secure favorable coverage in the Israeli media. Milchan is also the owner of New Regency Films. Leonardo DiCaprio starred in the syndicated series in 1989, when he was just 15 years old. Then 16-year-old DiCaprio starred in one episode of the drama in 1990 as young Mason Capwell. He later won a Young Artist Award for Best Young Actor. The show revolved around the Buckman family, and is known for featuring cast members who were unknown at the time but would become famous later, like DiCaprio and David Arquette. He was 16. DiCaprio appeared in one episode as a classmate of middle daughter Darlene Conner (Sara Gilbert). DiCaprio made his film debut in the science fiction horror comedy film. 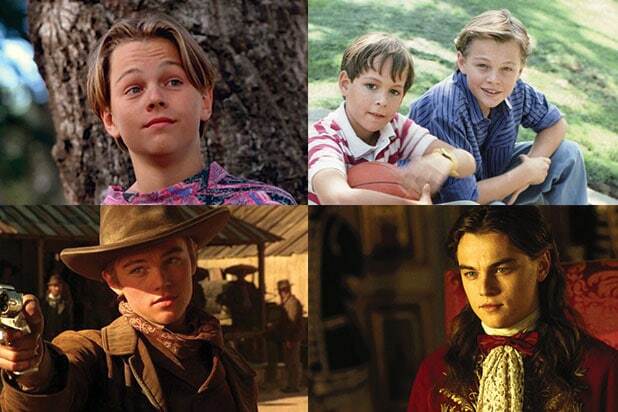 DiCaprio starred as Fee "The Kid" Herod in the Western opposite Sharon Stone, Gene Hackman and Russell Crowe. He was 19. DiCaprio starred as 19th-century French poet Arthur Rimbaud in the film that depicted his passionate yet violent relationship with other poet Paul Verlaine (David Thewlis). He was 21 at the time. In the first movie released after "Titanic," a scraggly haired DiCaprio starred as King Louis XIV as well as his twin brother, Philippe. Who knew Leo was in a Woody Allen movie? In this black-and-white Hollywood story, he scuffs up his image as a spoiled, hotel-room-trashing movie star who beats up his girlfriend (Gretchen Mol). Starring Tobey Maguire, Kevin Connolly and DiCaprio, it is about a group of people discussing life as they eat at a diner. The drama was filmed in 1995 to 1996, making DiCaprio 21 at the time. However, it was only released in 2001, so when DiCaprio was 27 years old. The action spy film was directed by Ridley Scott and starred DiCaprio as CIA case officer Roger Ferris. DiCaprio was 34 at the time.